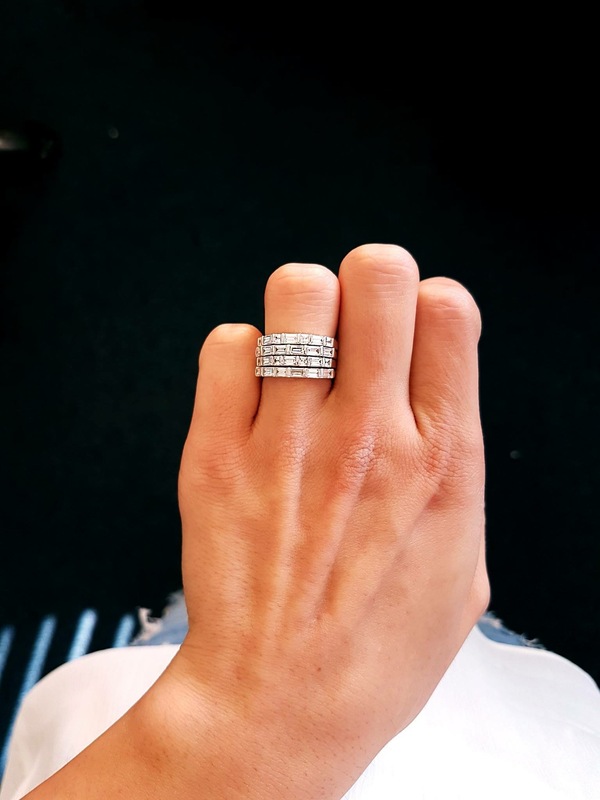 Diamond Rocks of Cheltenham Spa love this elegant Tre Vie Sempre 1 Ring Vamp London which is a truly beautiful and pure ring which can be stacked from the glamorous range by Vamp London. 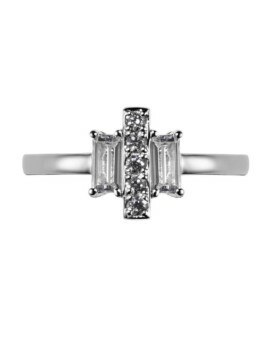 At Diamond Rocks of Cheltenham Spa we are proud to bring you this pure and classic Tre Vie Sempre 1 Ring Vamp London as part of the Vamp London Collection. 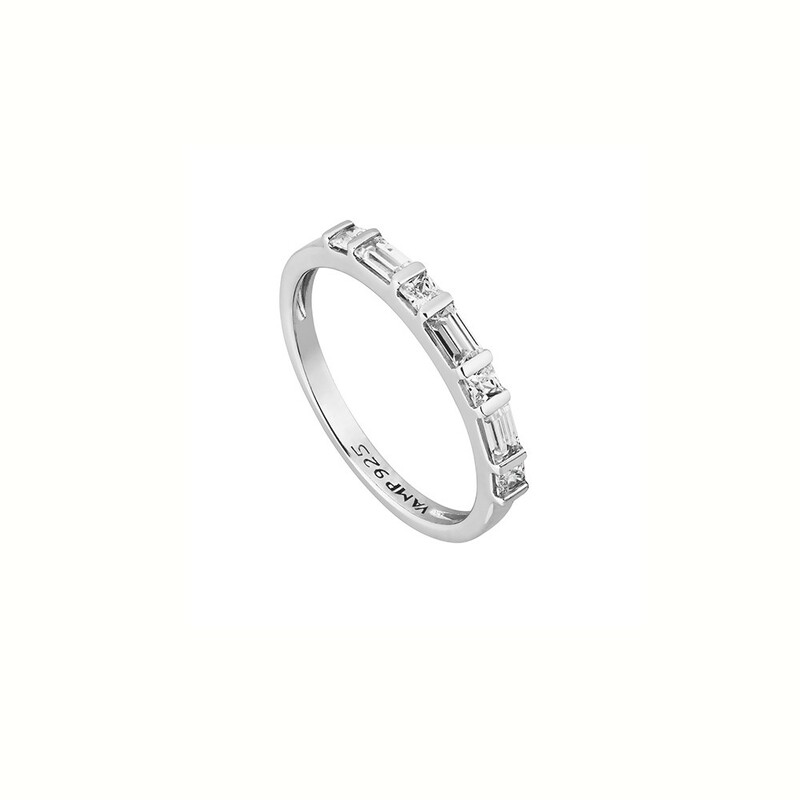 Wear our Tre Vie Sempre 1 ring (meaning ‘always’ in Italian) as a reminder of everlasting love. 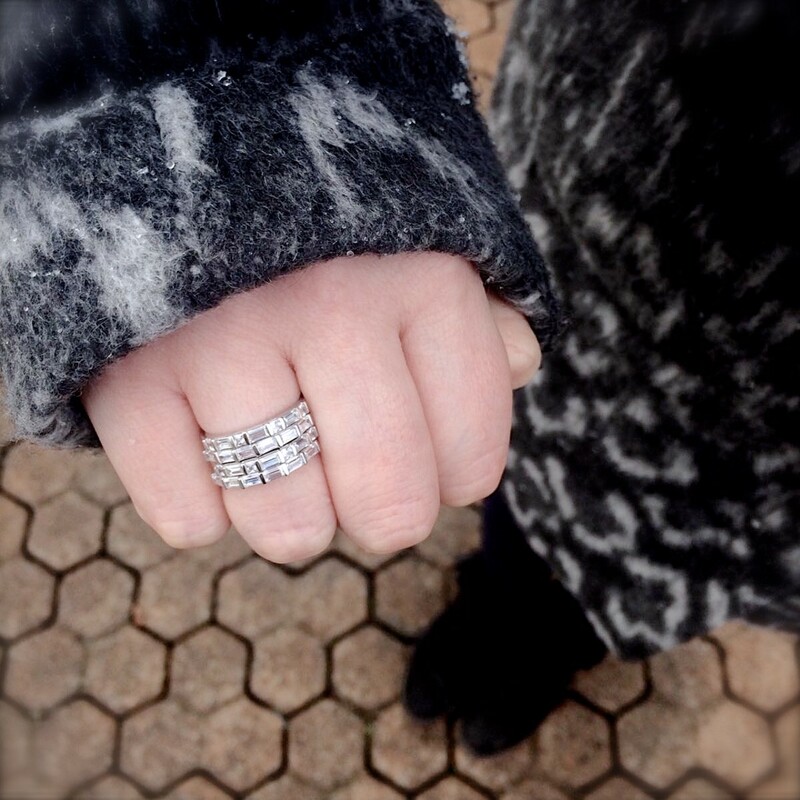 For added glamour pair with our matching Tre Vie Sempre 2 ring. 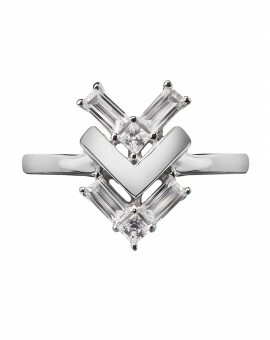 The Vamp London collection pays tribute to Rome’s iconic Trevi Fountain and the spirited Sylvia in ‘La Dolce Vita’. The Vamp London collection honours this sense of exploration with bold arrow designs that hint at the mysteries around every corner, and striking baci (meaning ‘kiss’ in Italian) shapes that evoke our desire to find true love. 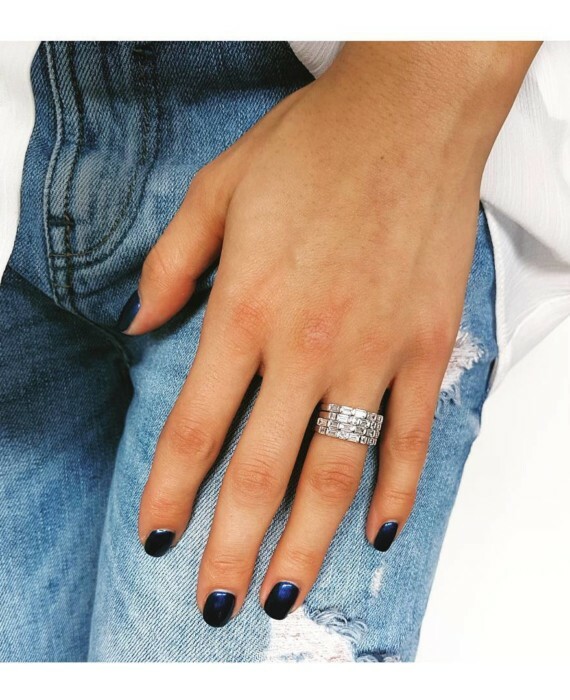 These crisp lines are achieved with baguette-cut cubic zirconia, crafted with diamond-like precision for chic daytime dressing or cocktails after dark. By wearing Vamp London you will be as empowered as the glamorous Sylvia in ‘La Dolce Vita’ as she seductively strides into the Trevi Fountain. Here’s to ‘La Dolce Vita’, the sweet life. 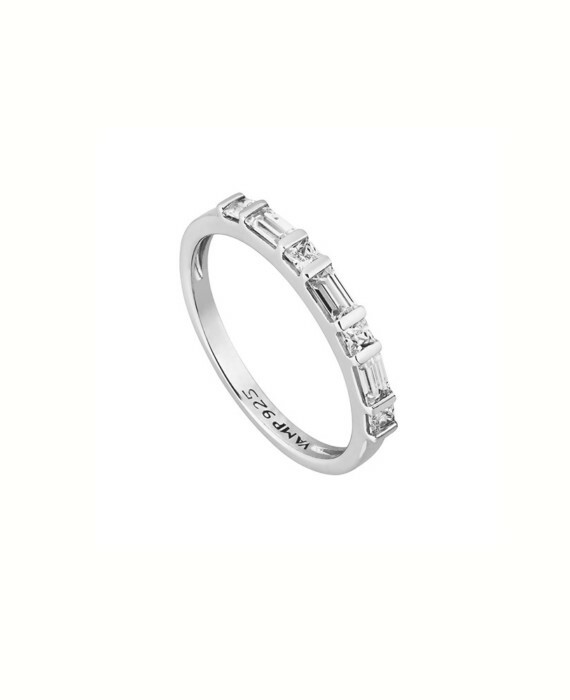 Tre Vie Sempre 1 Ring Vamp London is a truly beautiful and iconic piece of jewellery from the glamorous range Vamp London. 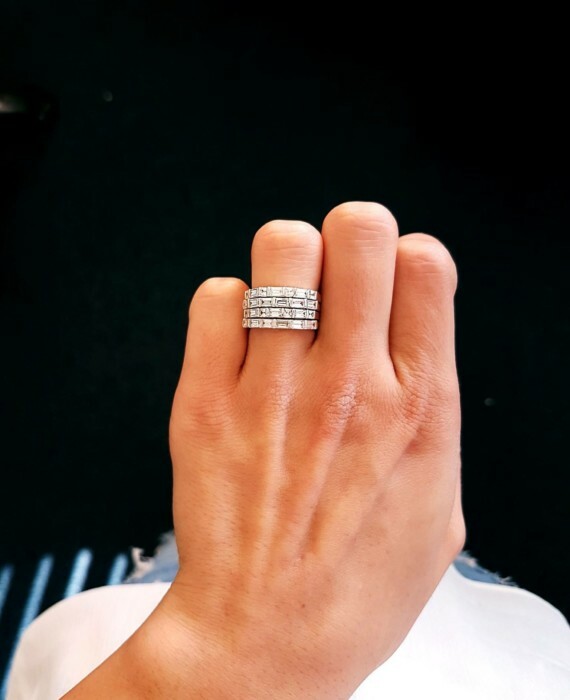 At Diamond Rocks of Cheltenham Spa we are proud to bring you this pure and classic ring as part of Vamp London award winning range. 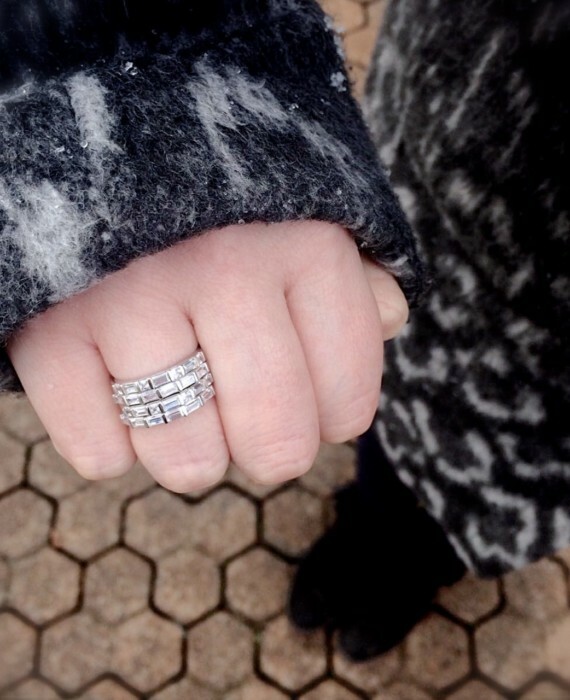 Diamond Rocks of Cheltenham Spa highly this Vamp London chic range. 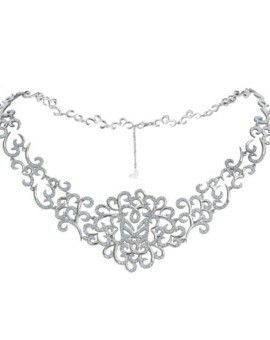 We are an Official Supplier of Vamp London Iconic Jewellery. Hours after your order is made, it is beautifully packaged for you by Diamond rocks of Cheltenham Spa and shipped in the UK FREE of charge. 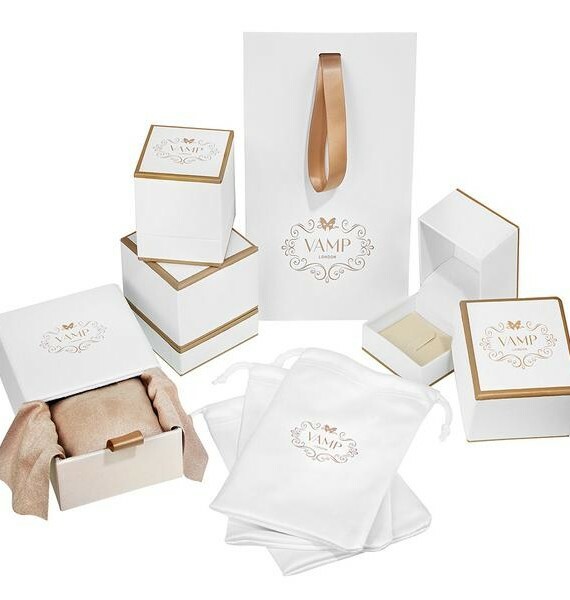 Each piece comes complete with a Vamp London presentation box, perfect for gifting. 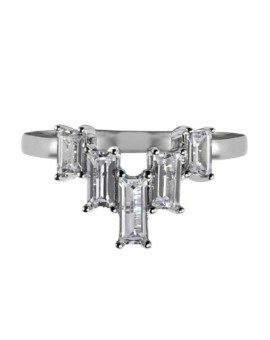 Tags: Anniversary gifts for her, Bespoke jewelry, Christmas gifts for her, Collection, Earrings, Gifts, Love jewelry, Mothers day gifts for her, Rhodium plated, Silver, Tre Vie Ring, Tre Vie Vamp London, Unique jewelry, Valentines gifts for her, Wedding jewelry, Womens.